Sac State has a lot of things that are different than UC Davis. Smoking is allowed at Sac State. More of the students drive to campus than bike or take the bus. The professors are encouraged to focus on being successful teachers instead of successful researchers. The student body is a little more diverse as well. There is more minority representation and more LGBTQ people at Sac State than UC Davis. One of the weirdest differences is in the Sac State bathrooms. I’m talking of course, about the urinals. Sac State decided that hand flushing toilets were still too unsanitary, but that automatic ones were too expensive (I guess). 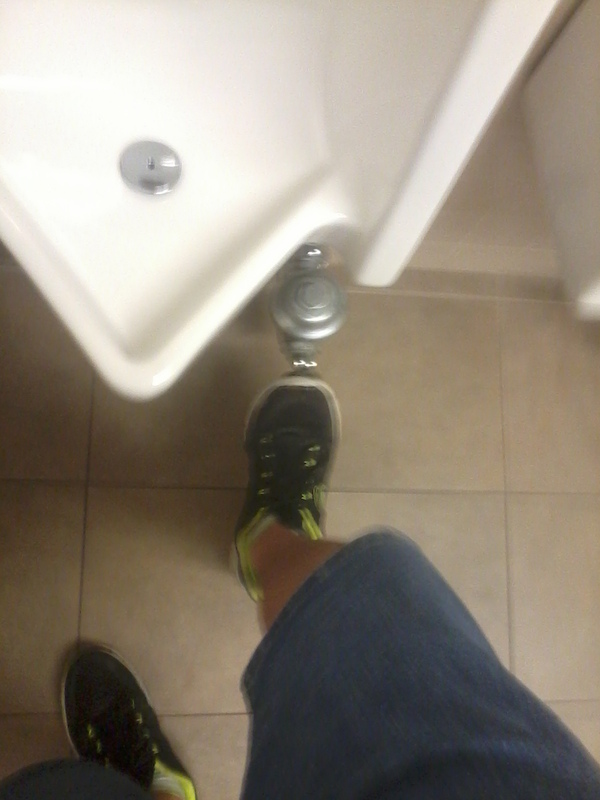 Thus, we get the foot flushers. This has been a little weird, but I managed to not shout out, “What the hell is this?” and thus avoided embarrassing myself in front of the janitor cleaning the bathroom at the time I first saw a foot flusher. Otherwise the Sac State bathrooms are a dramatic improvement over the Davis bathrooms. Some of the Davis bathrooms are without any ventilation, resulting in them smelling like a stable. Not surprising considering that its an agriculture school, but going into those bathrooms will always be a hideous experience and I’m glad I don’t have to anymore. One of the bathrooms at Davis has three urinals in a small corner behind the sit-down stalls. This seems fine until you try to leave one of the back two urinals while someone else is using the front one. There is no polite way to push past someone who is peeing. And I can tell you that waiting for them to finish isn’t any better. The final advantage that Sac State bathrooms have over Davis is the paper towel dispensers. The Davis dispensers have such a tight grip on their towels that you’ll rarely leave with a towel in one piece. Sac State’s dispensers are much better, dispensing one complete towel everytime I’ve used them. No more, no less. Isn’t that funny. I go to a school for a Master’s of Science degree and I end up talking about bathrooms.